I love summer, ok? I do. I wait for it all year round. But it has been HOT! Last week I had to walk for a half hour, dragging a bag with 4 wine bottles, to work, in 100 degree heat (wearing all black). I WAS MISERABLE. Oh sweet lord it was awful. Luckily, it's cooled down a bit since then but...still...hot. And while we're still in the midst of this heat, let's get the most of the frozen treats that both refresh us and make our hearts and tummies happy. Growing up, my house was the only house in the neighborhood (in which children lived anyway) that had A/C. My grandpa owned (and my dad worked at) a heating and cooling company so...I mean obviously we had to have a good system. Anyhow, because of this fact, all the neighbor kids congregated at our house to make the most of the cool, cool, air conditioned air. One of those kids, my (still) best friend Alex, who is living at home for the summer, just tweeted at me that I need to move back home so she can come over and bask in the air conditioning...like old times. 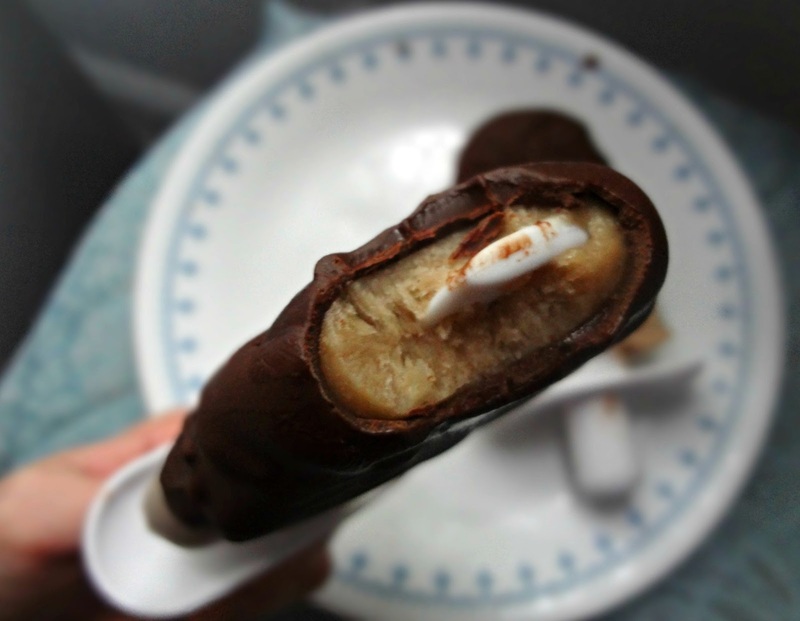 Another very strong summer memory I have is of frozen chocolate covered bananas. They were one of my mom's summer staples and I was always clamoring for them, I LOVED em! Couldn't get enough. They were one of my favorite parts of summer. So, these pops are sort of meant to emulate those flavors. And...I added peanut butter...because...it's never not a good idea to add peanut butter. 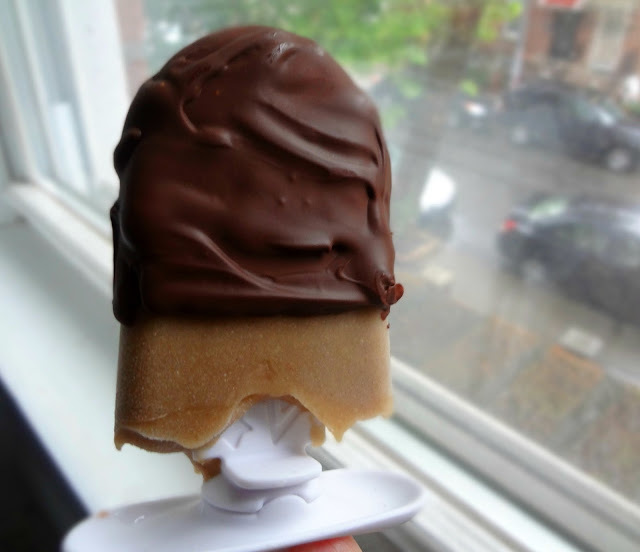 Plus some people have peanuts on their frozen chocolate bananas (something I never experienced until trying one at a fair) and so you could say the peanut butter adds that flavor element there. See? Perfect sense. 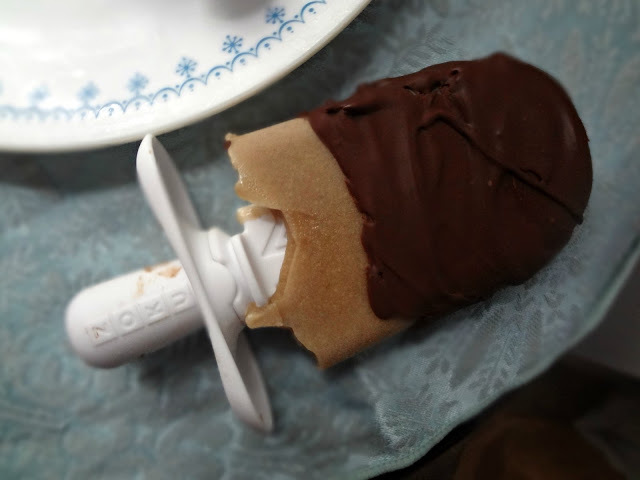 Eat some popsicles, yo' while we still can! 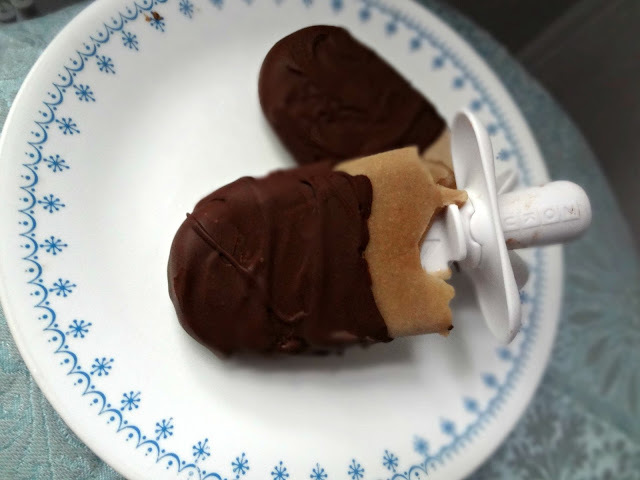 In a food processor or blender, puree banana(s) and peanut butter amounts you desire (depending on amount of pops you'd like to make/taste preference). Add in enough milk so the consistency is liquid-more like juice than a smoothie. 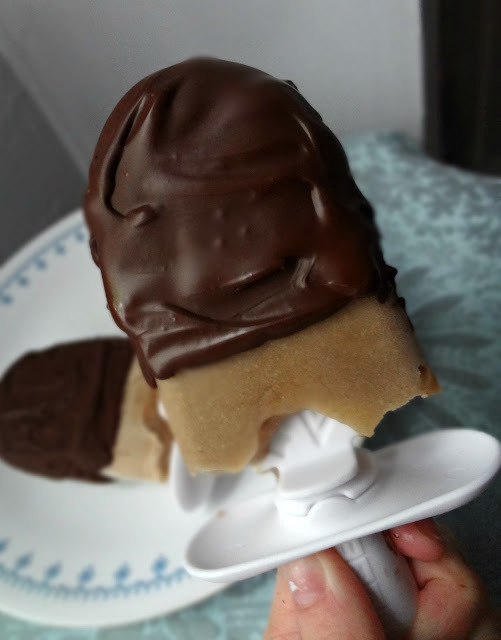 Pour into popsicle molds or pop maker and use instructions to fully freeze your pops. Dip into magic shell, let chocolate harden, and eat!